SEO actually stands for Search Engine Optimization. SEO is an Online Marketing Technique which helps to bring your Website on to[p in Search Engine results. The goal of this blog is to give a basic review of how Search Engine work's so you can better understand what Search Engine Optimization or SEO is all about. As of today, there were over 130,000,000+ registered websites out there on the Internet. So through to all of it, most of us rely on Search Engines to find what we want and these Search Engines have become so good that of 90% of people using the Internet relied on the fine things. Now their lots of good Search Engines out there but about 90%of people around World Wide use Google. So, that's why we will use in this blog, just keep in mind the concepts we are discussing are applied to all the Search Engines too. When we search something with Google, you get back a results page and there's lots of stuff on it. This shows how many Websites Google found that they are probably relevant what you looking for. To be on top of the Search Results page Companies pay Google to place Ads for them that will rank their website on top of the page for when people search for particular things but the organic results which came on the first page because of their relevant keywords, most people care about is the actual results list which is the list of Websites that are most likely to contain what you looking for. And you notice this is the first results page you can click down there for more. Over 94% of people use Google, only clicks results on the first page. If they don't find what they are looking for they don't bother clicking on subsequent result pages. Instead, they typically preferred to just search their search terms and start from scratch and of this person who does click on the first page most only click in what sometimes referred to as Golden Triangle or top 3 search results. In fact, about 63% of people just click top result pages. When people search for something as relevant to them and they see your Website in the search results. They gonna click and visit your page and these aren't any visitors, these are the people that are looking for exactly what you offer. So, of anyone, there are the most likely to convert Customers and Subscribers, etc. But if your Website isn't showing up towards the top 3 results or if it is,t even on the first page. It's most likely your Website doesn't exist, no one can find it. Now in our example, we search for Designer Sarees and we got back 22,700,000+ Website results. It's not exactly a small number. Have you ever wondered why some Website comes on the first page and other's are stuck down and couldn't be found anywhere? 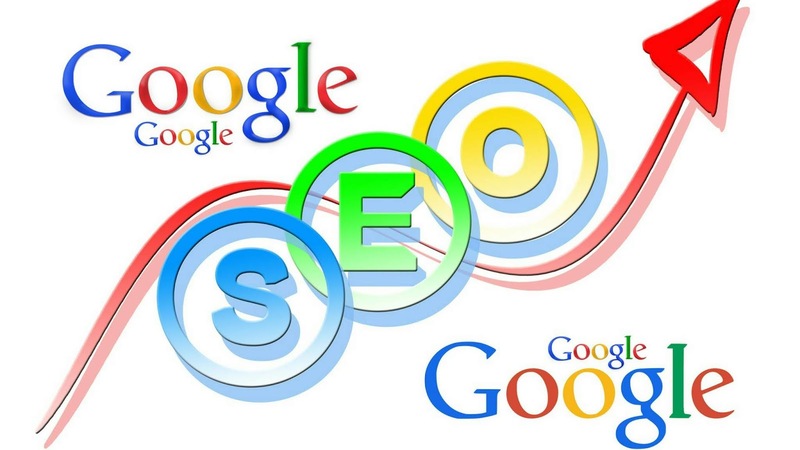 Well, a site's position and search results are termed and referred to as Page Rank. Ever Website has a ranking for particular search terms or keywords. So, if you searched for Designer Sarees you get back a list of Websites containing those two keywords and the Websites that had those keywords most often will rank higher and showed up at the top of the result pages. Well in 1996, two Standford Ph.D. students ( Larry Page & Sergey Brin ) noticed while they are researching on Academic papers that sources are containing a lot of keywords didn't necessarily mean they were relevant. What matters whether those papers were sided often by other papers. So, they applied this concept to Web Search. They suggested Websites that were backlinked a lot, that is to say, were referred to often by other Websites were more likely to be relevant that's why how Google was born. Search Engines today all follow this model. They still looking your Website Keywords but they rank your site's relevance on their number and quality of backlinks to it from other Websites. So, think out like of these keywords lets Google see your Website and know what it's about. Backlinks determine how much Google see your Website and know what it's about. Why backlinks & keywords are so important to rank your Website on Google? Backlinks determine how much Google trust your Website to be relevant. So, Keywords are important but they tell Google you are out there but Backlinks move your Website up the food chain. They constantly change in based on the Web. Unsurprisingly, as there these two aspects of how Search Engines find rendering pages. These are two corresponding components to the SEO. First is the On-Site Component, this is where you ensure your Website is full of Keywords that are relevant to what your sites about. So, for example, if you sell Designer Sarees in Guwahati you want to make sure relevant Keywords that are relevant Keywords on your Website like saree in Guwahati, saree in designer, sarees shop near me, and things like that. The second component is called Off-Site SEO, this is where you work to create backlinks to your Website that originate from other sources. What to remember before doing SEO? Keep this in mind the more influential or legitimate the Website is the links back to you. The more efficient that backlink from that site is gonna have on your Search Result Ranking. So, that's it SEO is super important because it helps you to move to the top of the relevant search results and since almost everyone realizes heavenly on Search Engines to find anything online. SEO, the most effective way to increase traffic to your site. Good SEO takes time so as soon as you start the soon move to the search results ladder.